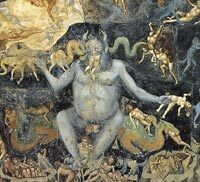 The Last Judgment at the Arena Chapel (Cappella Scrovegni), in Padua. 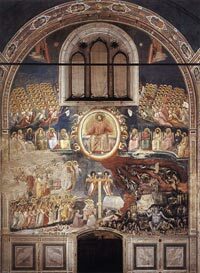 Christ in Majesty is surrounded by a rainbow mandorla and angels, flanked by the Apostles. 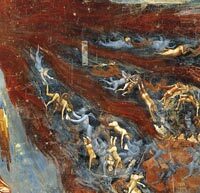 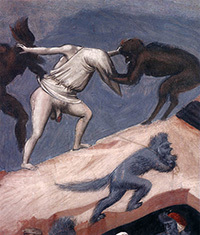 The Heavenly Host is above, while the saved and the damned are shown below, rising to Heaven or being dragged to Hell. 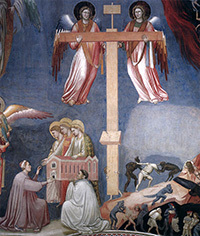 Enrico Scrovegni is depicted presenting his chapel to the Three Marys.